Return with us now to those thrilling days of yesteryear, when boys’ haircuts were white sidewalls, flattops and ducktails, when it was said a little dab’ll do ya, but it never really did. Back to those days in the Ol’ Dominion when segregation was strictly enforced, but liquor laws not so much. 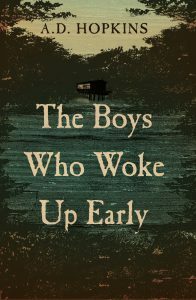 Better yet, let longtime Nevada investigative reporter and editor A.D. Hopkins take you there in his new novel, “The Boys Who Woke Up Early.” Yes, the boys might’ve awakened early on occasion, but what they “woke up” was rural Early County and Jubal Early High School, named for a Confederate general. A.D.’s teenaged narrator of the tale is named Thomas Jackson Shelor, named after another Confederate general who went by the nickname Stonewall, so Shelor was called Stonewall, which was soon shortened to Stony. The novel captures the quaint dialect — including language that can be occasionally coarse but authentic — the shabby scenery, nefarious political machinations, family feuds and strained race relations in such detail that you think you are looking at a photo instead of a painting. The plot constantly twists and turns as Stony and his friend, newcomer Jack, confront moonshiners, whorehouse operators and Klansmen. Hopkins and I worked together for more than 20 years at the Las Vegas Review-Journal. 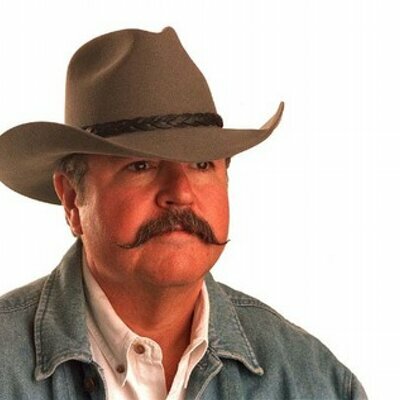 The book is laced with homespun conspiracies, displays of chivalry, dirty tricks, righteous revenge and conflicts that frequently result in gunplay, fisticuffs and the strategic use of ax handles and baseball bats. I said, “The Ku Klux Klan is coming is coming up here to hurt you. They beat up Roosevelt. Do you have any guns? Instead of answering, she jumped up and ran to the front door and locked it, then to the back and locked it, too. Then she ran up the stairs and I followed her, trying to tell her more. “Where do you think we should make our stand?” I asked in a half whisper as soon as we were out in the dark. “The Boys Who Woke Up Early” is a satisfying page turner. Published by Imbrifex Books, it is available online and in some local bookstores. A.D. Hopkins at book signing. This entry was posted in Las Vegas Review-Journal, Nevada, Thomas Mitchell and tagged "The Boys Who Woke Up Early", A.D. Hopkins, Imbrifex Books. The title has a double meaning. They did wake up the town of early but they (themselves) also “woke up” early to realities of life in the coming years for their time. I liked how A.D. described the way workers were paid by northern factory owners playing off “white” against “black” to keep both down und underpaid. And his description of shooting a powerful weapon for the first time was spot on. I’ve seen people do that very thing. I am enjoying AD’s book, in part, because it’s well written but also because it reminds me of my youth in the Fifties in the Texas Panhandle, more than 1,000 miles from Virginia. Yes, me, too, in a small town in North Texas. I’m intrigued. Thanks for the appetizer Mitch. Need to read this book.